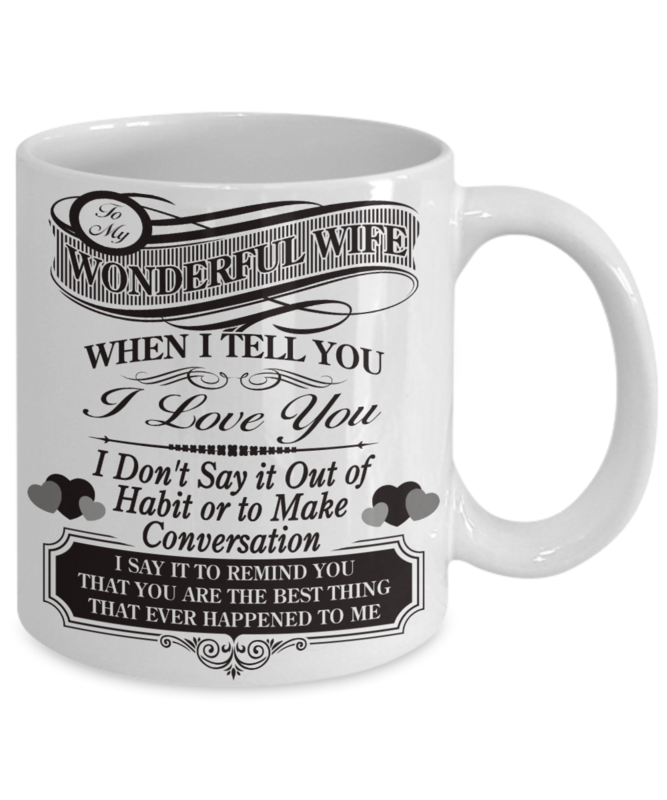 Perfect Gift For Your Wife! 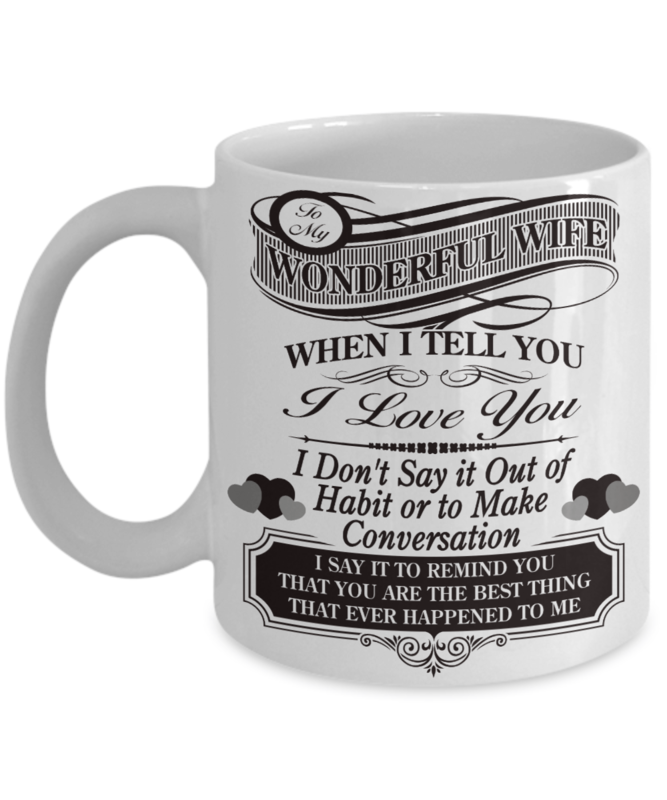 Surprise Your Wife This Mug makes a Perfect Gift and she will love it :). Great service, great product. It's obvious that this coffee mug is a quality item when you open the box. Big hit with the wife! An excellent product, well made, and very presentable, my wife was highly impressed with the thought behind such an idea, i would certainly recommend this product to others, thank you. Excellent gift. My wife loves her beautiful cup.